Central Texas Technology Center (CTTC) Manager/Director Chester Jenke has accepted the position of Vice President of Economic Development for the Greater New Braunfels Chamber of Commerce, Inc. Jenke has been with the local workforce and education facility since November 2008 and is credited with much of the CTTC’s success to date. Prior to his tenure with Alamo Colleges and the CTTC, Jenke served in the United States Air Force from 1993 to 2008, primarily associated with the C-5 aircraft in depot production as a supervisor, a flight engineer instructor, combat crew training instructor, and as a flight training unit flight engineer instructor. 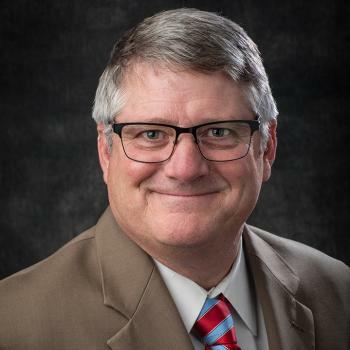 He holds a degree in business administration, his Masters of Education, and is scheduled to complete his Doctorate in Higher Education Leadership later this year. Jenke will begin his new role February 19 while assisting the CTTC to find their new manager until March 2. Brockman retires from full-time Chamber employment March 15. He will continue through the end of the year on a contract basis handling the workforce initiative known as NB/STEAM.